The Seven Dials Trust started life in 1974 in an effort to regenerate the north-west area of Covent Garden. On Tuesday 25 April 2017, the trust will unveil a blue plaque to commemorate The Roxy. The event will be accompanied by a free, two-week exhibition, Fear and Loathing at the Roxy, which will showcase photography, along with original promotional material. 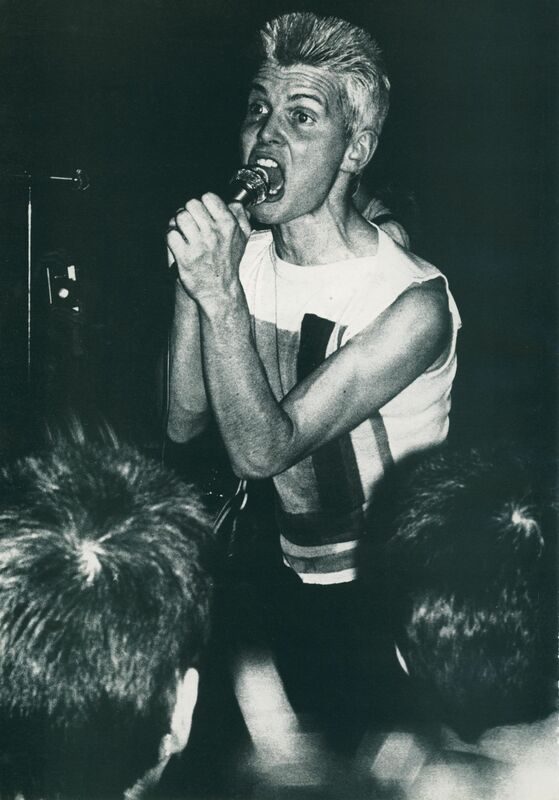 During the 100 nights that Andrew and Susan spent at the club, they hosted performances from acts at the forefront of the punk scene. These included Siouxsie Sioux and the Banshees, the Clash, the Heartbreakers and the Damned. Having been unable to repay the debts they had accumulated, Andrew and Susan were eventually thrown off the premises. The couple recently came across Susan’s diaries in the attic of their house in Streatham. Along with the diaries, they also found boxes of newspaper clippings, promotional material and Andrew’s bookings diary. 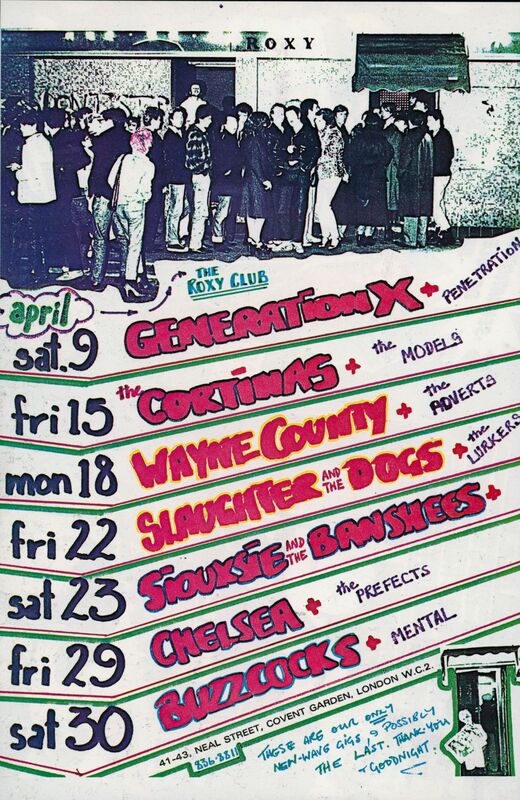 They decided to share these personal archives in their book, The Roxy, Our Story: The Club That Forged Punk in 100 Nights of Madness Mayhem and Misfortune, which was published last year. Ahead of the Fear and Loathing exhibition, we asked Andrew and Susan to share their memories of 100 nights at the Roxy. You get the sense from reading your book that your time at the Roxy was a complete whirlwind. How did you feel about it at the time? I suppose it didn’t really hit us until about 40 years later actually; the book’s brought it all back to life. When you’re young, you just simply live it as it turns up. There’s never a plan; we didn’t have a goal or an aim of any sort other than initially to promote Generation X, who I was managing. I mean that was the sole purpose of the Roxy was to get exposure for them. But as things moved on, we found such a lot of energy out there off new up-and-coming bands. Are you happy about the blue plaque going up? We think it’s wonderful, because it’s taken other people to sort of reopen our eyes to what we did and achieved. When you’re actually doing something, you don’t have any sort of plan of it being something that’s going to be of historical importance, but looking back on it, we see that’s what it was. We thought, “Let’s do the book; let’s get our archives out; let’s put it in there – just chuck it all in.” We didn't research ourselves; we didn’t research other people. It’s not a celebrity book, as you can see; it’s a nuts and bolts, this-is-what-actually-happened book. 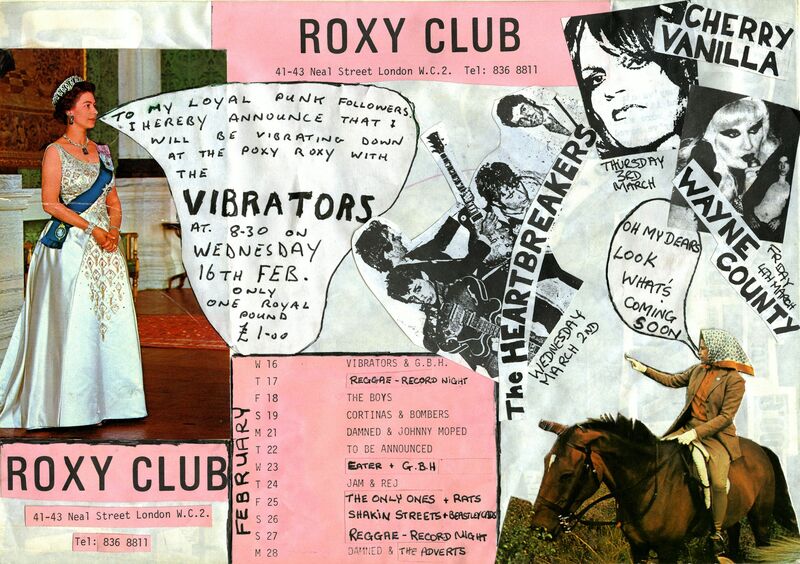 If you could pick one performance that was a defining moment at the Roxy, what would it be? I’ll have to give you two. 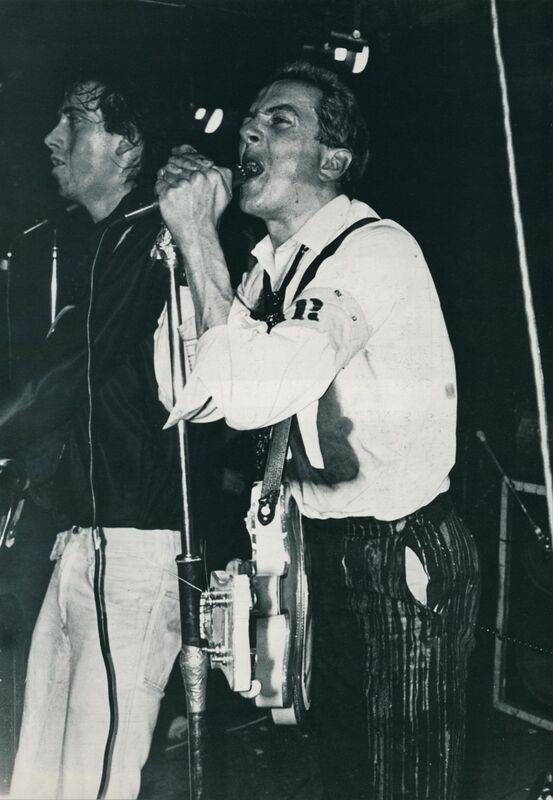 One was the Heartbreakers, when they played, which was on 15 December and the second one was when the Damned played; they really sort of stood out. Your diary clips really give a sense of your excitement at the time. It was all very frantic, right until the time that me and Andrew got kicked out. Many nights we thought, “Wow, this is so exciting,” but at the end of the night, we didn’t have any money to pay anybody. What we realised later was that the bar staff were selling spliffs behind the door, people were coming in for nothing and stealing. We didn’t sort of see all that at the time. It was like, “great, you’ve got Johnny Thunders and the Heartbreakers on,” or “Wayne County – how totally amazing,” you know? We were a bit naive. How have the other jobs you’ve done compared? Me and Andrew seem to have a reputation of getting sacked from jobs, because we always thought we could do better than all of them. We got there with expectations and it was extremely boring and then of course, getting kicked out of night clubs. When we met in 1966, we loved music, going to see Jimi Hendrix at the Marquee, we just loved it all and the energy, which is why we felt so at home. You dedicated the book to your parents; what did they make of it? My mum loved it; I used to say, “Mum, I’m bit short of-” and she’d say, “What do you want? How much?” She’s 95, still alive and loves the book. If it wasn’t for her, in a lot of situations probably, we wouldn’t have opened the next day. You’ve got to remember then, Covent Garden was really run-down, dark, grey, no cars, no shops, old warehouses for fruit and veg; it really was quite dismal and suddenly, we brought it back to life. What would you say your favourite gig was? I have to agree with Andrew, Johnny Thunders and the Heartbreakers, the Damned, and I have to say, Wayne County & the Electric Chairs. (Now, of course, she’s Jayne County.) That to me was such fun; I’d never heard such songs. Of course, I love the Buzzcocks. I love them all really, but if you ask the ones that really stood out at the time, I think I’d have to say those three.